4th VENITE EXVLTEMVS I W 1612 – Come let us rejoice! 6th VOX DEI GLORIOSA EST I W 1612, – The voice of God is glorious. 7th NOS AVRIBVS NOBIS VOS CORDIBVS DEO SONATE I W 1612 – We sing for our ears; sing ye to God with your hearts! A special touch of 1,612 changes of Stedman Triples was rung. 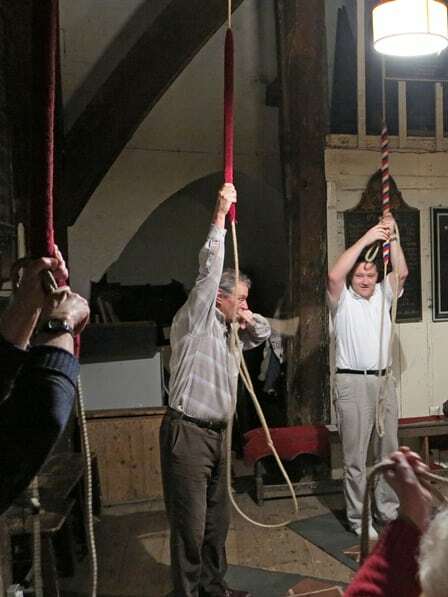 Some members of the Westminster Abbey band were invited to join those who regularly ring the Curfew Tower bells for St George’s.